Scissor Gate Sales, Installation & Service in the Tampa, St. Pete & Clearwater area. Scissor gates are a great way for commercial spaces to restrict and secure areas while still letting air and light flow through. Whether it’s a single or double fixed scissor gate, pressure lock, portable -top or bottom track, we’ve got you covered. We will gladly service, repair or install any scissor gate in the Tampa, St. Pete, Clearwater area. American Door Company offers a wide selection of brands of scissor gates that our experienced professionals will install in your commercial space. 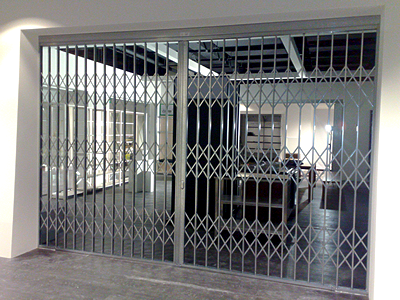 Make us your number one choice for new installs, as well as servicing for all of your business’ commercial door needs.